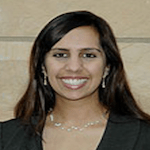 Nilima Achwal is the founder and CEO of Iesha Learning, based in Mumbai, India. Iesha has a fun, interactive digitized curriculum on sexuality and gender, toward a gender-equal India. Previously, Nilima has worked in leadership capacities across advisory, field-level, and research roles that lie in the intersection of entrepreneurship and social impact. She launched and ran social enterprise accelerator program SEED at Villgro Innovations Foundation, helping early-stage social entrepreneurs to strengthen their business models and raise seed funding. You can learn more at www.nilimaachwal.com or contact her at contact@nilimaachwal.com. Vishy Kuruganti is founder and blogger at TechSangam.com,a blog focused on Indian social enterprises and Bottom of Pyramid. Unconvention 2011 hosted by Villgro in Chennai, India brought together some of the country’s brightest minds working in social enterprise and explored fundamental questions such as how social businesses can "mainstream" or "co-create" with multinationals, and whether in the term "social enterprise" will have currency in the next decade.